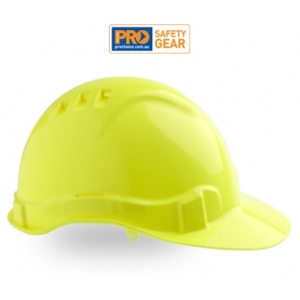 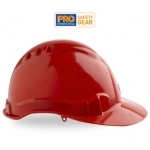 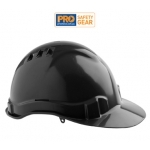 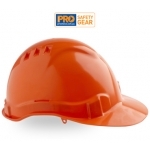 Lightweight, colour range of vented hard hats. Available in white, yellow, red, blue, green, orange, black and fluro yellow (colours can be assigned to location, job or industry). 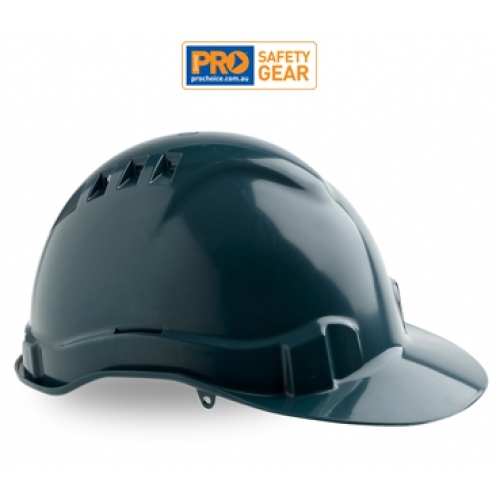 Cotton Sweatband prevents perspiration build-up, extended peak for added protection and an edge gutter to catch and deflect rain.